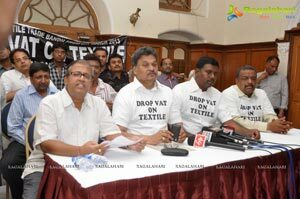 • Textile Traders from all over Andhra Pradesh absorbs Total Bandh in protest against the State Government forceful introduction of VAT. • Textile Trade Bandit affects the Life of more than 80 Lakh Skilled & Unskilled Workers. 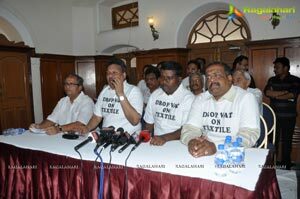 • Shopping Malls to Join Textile Trade Bandli from 11' March, 2013. 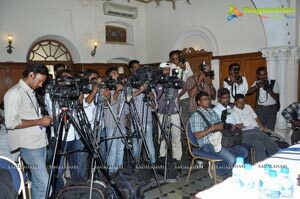 • Many Women Entrepreneur gets affected with implementation of VAT by Government of A.P. 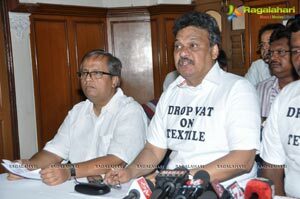 The Textile Traders of Andhra Pradesh have been agitating for past several months for total withdrawal of VAT on textiles since VAT is not levied in any state of the country. 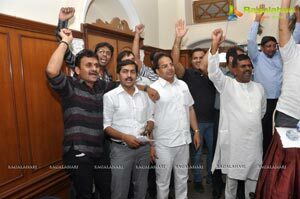 They have undertaken various forms of agitation activities but there is no positive response from the Government. 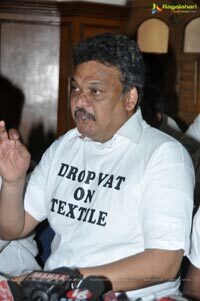 In the meantime, like adding fuel to the fire, the Government through a notification has brought textile under "Sensitive Commodities" in order to force the textile traders to pay VAT with effects from 25.2.2013. 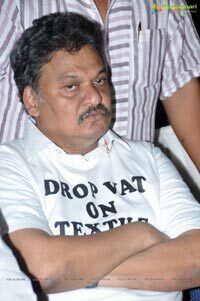 In the above context, the textile traders of twin cities have, under the agies of the- The Andhra Pradesh Federation of Textile Association, decided to go for indefinite bandh throughout the State from 9th March, 2013 demanding the Government to withdraw VAT immediately. 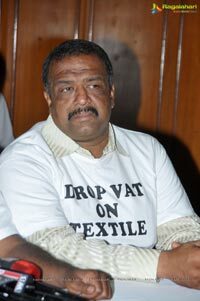 The Reason for Textile traders to protest against VAT are: I. No where in the country VAT is being collected on the above products. 2. Close to lerore people depend on this industry for their livelihood, directly or indirectly. 3. Textile trade will migrate to neighbouring States. 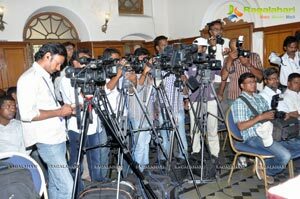 More than 7-8 Lakhs daily wage people, consisting family members of Hamalies, Rikshaw Pullers, Hawkers, tailors etc. will lose their daily livelihood on account of indefinite bandh. 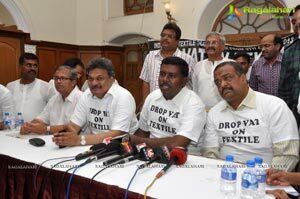 If the Government fail to withdraw the above tax, the textile traders will intensify their agitation. 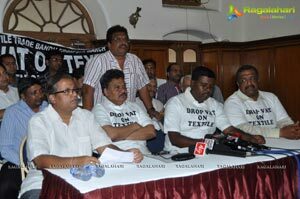 The Twin Cities Textile Associations affiliated to the above federation are undertaking the indefinite bandit from Dharna Chowk from 9th March, 2013 by organizing several activities like Candle Light Rally, Bike Rally, Mass Rally, Manavahar, Poor feeding, Representation to MPS, Ministers & MLAs, etc. on daily basis. 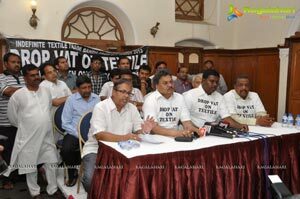 The Textile Traders of Andhra Pradesh has been on the receiving end from the Government of A.P from past several months, in spite of several memorandums submitted to the Govt and continuing several agitations the Govt does not even bother to look into the matter which is affecting the Life's of 1Crore people of the State i.e 10% of population. 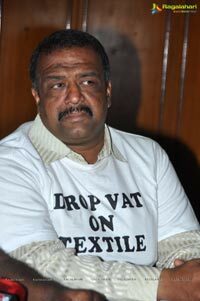 The Implementation of VAT is affecting both consumer and traders as both have to churn out extra money to buy and sell the Textiles. 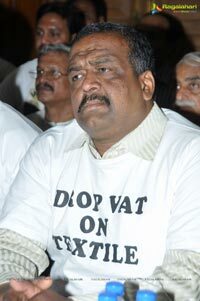 Moreover it is just the Govt of A.P which is forcefully introducing VAT on the Traders as no other State Govt has introduced it on its traders said Mr. Cheera Satyanarayan Twin Cities VAT Co-Ordinator-The Andhra Pradesh Federation of Textile Association. 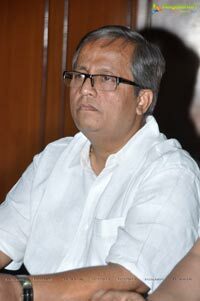 Mr Cheera Satyanarayan added that it's state government which is unsupportive of the textiles association as VAT was abolish in other 5 States after it was proposed but State Govt does not even bother to look into the matter. 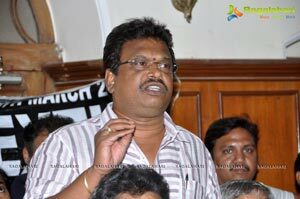 He added that in coming days they will intensify the agitation and will continue to observe the total bandh till the VAT is abolished. 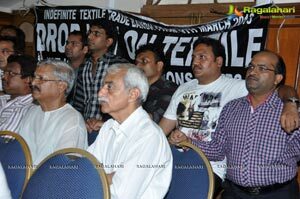 The other active member of the-The Andhra Pradesh Federation of Textile Association said all 27 textile traders association across Andhra Pradesh are supporting the cause and are performing total bandh. He said that the Life's of many labourer's, daily wagers, hawkers, hamali's etc. 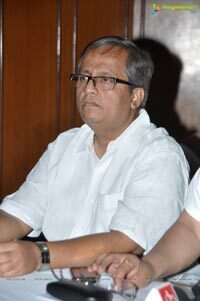 is being affected heavily due to the bandh and many skilled workers, women entrepreneurs running small stores etc. 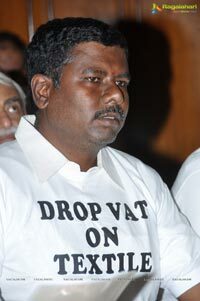 have to bear the brunt of VAT Implementation. He added we are on the losing end as many shoppers prefer to buy from other states where the cloth is much cheaper due to No-VAT implementation. He added why just A.P Government is so critical of the Textile Industry which provides good revenue, better employment and many other benefits to the State Government. More over the industry provides greater and better opportunity to uneducated sector, if the bandh continues the Life's of several uneducated people will suffer heavily. 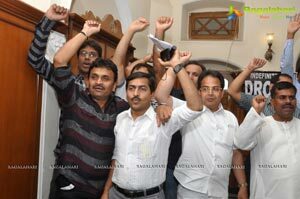 The Third Day Strike saw the support from many political leaders and workers, daily wagers etc. More than 1000 Skilled & Unskilled Workers of the Textile Industry gathered at Dharna Chowk to support the cause.